Gottlieb Wilhelm Daimler (German: [ˈɡɔtliːp ˈdaɪmlɐ]; 17 March 1834 – 6 March 1900) was an engineer, industrial designer and industrialist born in Schorndorf (Kingdom of Württemberg, a federal state of the German Confederation), in what is now Germany. He was a pioneer of internal-combustion engines and automobile development. He invented the high-speed liquid petroleum fueled engine. Daimler and his lifelong business partner Wilhelm Maybach were two inventors whose goal was to create small, high-speed engines to be mounted in any kind of locomotion device. In 1883 they designed a horizontal cylinder layout compressed charge liquid petroleum engine that fulfilled Daimler's desire for a high speed engine which could be throttled, making it useful in transportation applications. This engine was called Daimler's Dream. In 1885 they designed a vertical cylinder version of this engine which they subsequently fitted to a two-wheeler, the first internal combustion motorcycle which was named the Petroleum Reitwagen (Riding Car) and, in the next year, to a coach, and a boat. Daimler called this engine the grandfather clock engine (Standuhr) because of its resemblance to a large pendulum clock. In 1890, they converted their partnership into a stock company Daimler Motoren Gesellschaft (DMG, in English—Daimler Motors Corporation). They sold their first automobile in 1892. Daimler fell ill and took a break from the business. Upon his return he experienced difficulty with the other stockholders that led to his resignation in 1893. This was reversed in 1894. Maybach resigned at the same time, and also returned. In 1900 Daimler died and Wilhelm Maybach quit DMG in 1907. Daimler's birthplace in Schorndorf, now a small museum. Gottlieb Wilhelm Daimler was the son of a baker named Johannes Däumler (Daimler) and his wife Frederika, from the town of Schorndorf near Stuttgart, Württemberg. By the age of 13 (1847), he had completed six years of primary studies in Lateinschule and became interested in engineering. After completing secondary school in 1848, Daimler had trained as a gunsmith under Master Gunsmith Hermann Raithel. In 1852 he ended the training with the trade examination. He graduated in 1852, passing the craft test with a pair of engraved double-barreled pistols. The same year, at eighteen, Daimler decided to take up mechanical engineering, abandoning gunsmithing, and left his hometown. Signing up at Stuttgart's School for Advanced Training in the Industrial Arts, under the tutelage of Ferdinand von Steinbeis. Daimler was studious, even taking extra Sunday morning classes. 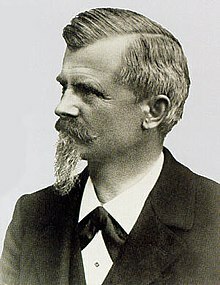 In 1853, Daimler, with Steinbeis' assistance, got work at "the factory college", Rollé und Schwilque (R&S) in Grafenstaden, so-called because its manager, Friedrich Messmer, had been an instructor at the University of Karlsruhe. Daimler performed well, and when Rollé und Schwilque began making railway locomotives in 1856, Daimler, then 22, was named foreman. Instead of staying, Daimler took two years at Stuttgart's Polytechnic Institute to hone his skills, gaining in-depth grasp of steam locomotives, as well as "a profound conviction" steam was destined to be superseded. He conceived small, cheap, simple engines for light industrial use, possibly inspired by the newly developed gas engines of that era. In 1861, he resigned from R&S, visiting Paris, then went on to England, working with the country's top engineering firms, becoming knowledgeable with machine tools. He spent from autumn 1861 to summer 1863 in England, then regarded as "the motherland of technology", at Beyer, Peacock and Company of Gorton, Manchester. Beyer was from Saxony. While in London, he visited the 1862 International Exhibition, where one of the exhibits was a steam carriage. These carriages did not evidently inspire him, however, for his wish was to produce machine tools and woodworking machinery. In 1872 at age 38, Daimler and Maybach moved to work at the world's largest manufacturer of stationary engines at the time, the Deutz-AG-Gasmotorenfabrik in Cologne. It was half-owned by Nikolaus Otto, who was looking for a new technical director. As directors, both Daimler and Otto focused on gas-engine development while Maybach was chief designer. In 1876, Otto developed a gaseous fuel, compressed charge four-stroke cycle, (also known as the Otto Cycle) engine after 14 years of effort, a system characterized by four piston strokes (intake, compression, power, and exhaust). Otto intended that his invention would replace the steam engines predominant in those years, even though his engine was still primitive and inefficient. Otto's engine was patented in 1877, but one of his 25 patents was soon challenged and overturned. Daimler who wanted to make his own engine, feared Otto's patent would prevent it. Daimler hired an attorney who found that a "previous art" patent for a four stroke engine had been issued in Paris in 1862 to Beau De Rochas, a French public works engineer. Meanwhile, serious personal differences arose between Daimler and Otto, reportedly with Otto being jealous of Daimler, because of his university background and knowledge. Daimler wanted to build small engines that could be applied to transportation but Otto had no interest in this. When Otto excluded Daimler from his engine patents there was great animosity between the two. Daimler was fired in 1880, receiving 112,000 Gold marks in Deutz-AG shares in compensation for the patents of both Daimler and Maybach. Maybach resigned later and followed Daimler. Daimler and Maybach spent long hours debating how best to fuel Otto's four-stroke design, and turned to a commonly available petroleum fraction. The main distillates of petroleum at the time were lubricating oil, kerosene (burned as lamp fuel), and ligroin (Petroleum Naptha), which up to then was used mainly as a cleaner and was sold in pharmacies. "Leichtbenzin, wie es damals üblich und in der Apotheke zu bekommen war", blickt Oldtimer-Experte Michael Plag zurück. "Das ist ein verbrennungsfähiger Kraftstoff - Hexan N." [English]"Mineral spirits were common and easy to get at the pharmacy", recalls classic car expert Michael Plag. "This is a combustion-efficient fuel - hexane N."
In late 1883, Daimler and Maybach patented the first of their engines fueled by ligroin. This engine was patented on December 16, 1883. It achieved Daimler's goal of being small and running fast enough to be useful at 750 rpm. Improved designs in the next four years brought that up to 900 rpm. Daimler had three engines built to this design early in 1884, and a flywheel was included in one of the engines. This design was smaller and lighter than engines by other inventors of the time. Daimler relied on hot tube ignition, until 1897, when he adopted the electrical ignition designed by Bosch. The engine with the flywheel included was built into a light vehicle, called the Reitwagen, the first vehicle powered by an internal combustion engine. In 1885, they created a carburetor which mixed gasoline with air allowing its use as fuel. In the same year Daimler and Maybach assembled a larger version of their engine, still relatively compact, but now with a vertical cylinder of 100 cc displacement and an output of 1 hp at 600 rpm (patent DRP-28-022: "non-cooled, heat insulated engine with unregulated hot-tube ignition"). It was baptized the Standuhr ("grandfather clock"), because Daimler thought it resembled an old pendulum clock. In November 1885, Daimler installed a smaller version of this engine in a wooden two wheeler frame with two outrigger wheels, creating the first internal combustion motorcycle (Patent 36-423impff & Sohn "Vehicle with gas or petroleum drive machine"). It was named the Reitwagen (riding car). Maybach rode it for three kilometers (two miles) alongside the river Neckar, from Cannstatt to Untertürkheim, reaching 12 kilometres per hour (7 mph). Independently of each other, Karl Benz and Gottlieb Daimler each produced an automobile in 1886, both in Germany, about 60 miles apart. About sixty miles away in Mannheim, Karl Benz built an automobile using an integral design for a motorized vehicle with one of his own engines. He was granted a patent for his motorwagen on 29 January 1886. On 8 March 1886, Daimler and Maybach secretly brought an American Model coach made by Wilhelm Wimpff and Sohn into the house, telling the neighbors it was a birthday gift for Mrs. Daimler. Maybach supervised the installation of a larger 1.1 hp 462 cc (28 cu in) (70 mm × 120 mm, 2.8 in × 4.7 in) version of the Grandfather Clock engine into this stagecoach and it became the first four-wheeled vehicle to reach 16 kilometres per hour (10 mph). The engine power was transmitted by a set of belts. As with the motorcycle, it was tested on the road to Untertürkheim where nowadays the Mercedes-Benz Arena, formerly called the Gottlieb-Daimler-Stadion, is situated. on water (1886), by mounting it in a 4.5 m (15 ft) long boat and achieving a speed of 6 knots (11 km/h; 6.9 mph). The boat was called Neckar after the river where it was tested. (patent DRP 39-367). This was the first motorboat and boat engines soon would become Daimler's main product for several years. The first customers expressed fear the petrol engine could explode, so Daimler hid the engine with a ceramic cover and told them it was "oil-electrical". in the air in Daimler's balloon, usually regarded as the first airship, where it replaced a hand-operated engine designed by Dr. Friedrich Hermann Wölfert of Leipzig. With the new engine, Daimler successfully flew over Seelberg on 10 August 1888. They sold their first foreign licenses for engines in 1887 and Maybach went as their representative to the 1889 Paris Exposition to show their achievements. Engine sales increased, mostly for use in boats, and in June 1887, Daimler bought another property at Seelberg hill, Cannstatt. It was located some distance from the town on Ludwigstraße 67 because Cannstatt's mayor did not approve of the workshop. Built at a cost 30,200 goldmarks, the new premises had room for 23 employees. Daimler managed the commercial issues while Maybach ran the engine design department. In 1889, Daimler and Maybach built the Stahlradwagen, their first automobile that did not involve adapting a horse-drawn carriage with their engine, but which was somewhat influenced by bicycle designs. There was no production in Germany, but it was licensed to be built in France and presented to the public in Paris in October 1889 by both engineers. The same year, Daimler's wife, Emma Kunz, died. With demand for engines growing, for uses in everything from motorboats to railcars,:483 Maybach and Daimler expanded. With funding from gunpowder maker Max Duttenhofer, industrialist, and banker Kilian von Steiner, and munitions manufactuer de:Wilhelm Lorenz, Daimler Motoren Gesellschaft was founded 28 November 1890, with Maybach as chief designer. Its purpose was the construction of small, high-speed engines for use on land, water, and air transport. The three uses were expressed by Daimler in a sketch that became the basis for a logo with a three-pointed star. From 1882 until 1890 Daimler had resisted making his company into an incorporation or stock company. He had seen what happened to too many engineers who had pioneered a capital invention as he had. Many of them were forced out of their own companies by stock holders who "knew better" about how to run the company that they had just purchased than the man who created it. This is a very common occurrence in the business world. It happened to Henry Ford, Ransom E. Olds, Karl Benz, August Horch (Audi), Gottlieb Daimler and many others. Many German historians consider this Daimler's "pact with the devil". Daimler hated having to incorporate his company. Unable to obtain majority control, he sold out and then resigned. DMG expanded, but it changed. The newcomers, not believing in automobile production, ordered the creation of additional stationary engine building capacity, and considered merging DMG with Otto's Deutz-AG. Daimler and Maybach preferred plans to produce automobiles and reacted against Duttenhofer and Lorenz. Maybach was denied a seat on the board and on 11 February 1891, he left the business. He continued his design work as a freelance in Cannstatt from his own house, with Daimler's support, moving to the closed Hermann Hotel in the autumn of 1892. He used its ballroom and winter garden as workshops, employing twelve workers and five apprentices. In 1892, DMG finally sold its first automobile. Gottlieb Daimler, aged 58, had heart problems and suffered a collapse in the winter of 1892–1893. His doctor prescribed a trip to Florence, where he met Lina Hartmann, a widow 22 years his junior who was the owner of the hotel where he was staying. They married on 8 July 1893, honeymooning in Chicago during its World Fair. Returning from the 1893 World's Fair in Chicago with his new wife, Daimler had vowed to purchase enough shares of DMG to regain control. This effort failed. Daimler sold all his shares and patents and resigned from the Company. Maybach had left earlier. The disputes with Lorenz continued. Daimler attempted to buy 102 extra shares to get a majority holding, but was forced out of his post as technical director. The corporation was 400,000 Gold marks in debt. The other directors threatened to declare bankruptcy if Daimler didn't sell them all his shares and all his personal patent rights from the previous thirty years. Daimler accepted the offer, receiving 66,666 Gold Marks, and resigned in 1893. This is probably the same internal-combustion engine referred to by the American author and historian Henry Brooks Adams, who describes the "Daimler motor" and its great speed from his visit to the 1900 Paris Exposition in his autobiography. Daimler and Maybach continued to work together. They built a four-cylinder engine with Maybach' spray nozzle carburetor. It was in the first organized automobile race, the "Paris to Rouen" and defeated all the entries from DMG. Frederick Simms, German-born long-time friend of Gottlieb Daimler insisted that Daimler be brought back into the company making it a condition of his payment of £17,500 for the transfer of his Daimler licenses to the British Daimler Company which would stabilize the corporation's finances, that Daimler, now aged sixty, should return to DMG. Gottlieb Daimler received 200,000 goldmarks in shares, plus a 100,000 bonus. Simms received the right to use the name "Daimler" as his brand name for Daimler Company products. In 1895, the year DMG assembled its 1,000th engine, Maybach returned as General Inspector, receiving 30,000 shares. Daimler died in 1900, and in 1907 Maybach resigned from DMG. Daimler had developed the first liquid petroleum vehicle in 1885 and Karl Benz had developed the first purpose built automobile using a 2 cycle engine of his own design a few months later. Daimler never met Karl Benz during the period of invention. In 1896 Daimler (DMG) sued Benz & Cie for violating his 1883 patent on hot tube ignition. Daimler won and Benz had to pay royalties to DMG. Daimler did not meet Karl Benz while they were in court in Mannheim. Later at the founding of the Central European Motor Car Association Daimler and Benz still did not speak to each other. Years after Daimler died, the two companies did cooperate in many ways. After many years of cooperation, on June 28, 1926 representatives of Daimler-Motoren-Gesellschaft (DMG) and Benz & Cie signed the agreement for the merger of the two oldest automobile manufacturers in the world. The resulting new company was named Daimler-Benz. Gottlieb Daimler was accepted into the Automotive Hall of Fame in 1978. Between 1993 and July 2008 Daimler had a stadium named after him in Stuttgart, Germany. The Mercedes-Benz Arena was the venue for six matches in the 2006 FIFA World Cup in Germany. Gottlieb Daimler's motto was Das Beste oder nichts ("The best or nothing at all"; "Nothing but the best"). Mercedes-Benz adopted this motto as their slogan in 2010. ^ "Gottlieb Daimler". Encyclopædia Britannica. ^ a b Haug, Gunter (15 August 2010). Gottlieb Daimler - Der Traum vom Fahren: Historischer Roman. Masken-Verlag Friedrich Willmann;. ISBN 3939500275. ^ "1834: Gottlieb Wilhelm Daimler wird geboren" [1834: Gottlieb Wilhelm Daimler was born] (in German). Car Design Schacht. 16 February 2010. Retrieved 16 July 2016. ^ a b c d e f g h i j k l m n o p q r s t u v w x y Wise, David Burgess (1974). Northey, Tom (ed.). Daimler: Founder of the Four-Wheeler. World of Automobiles. 5. London: Orbis. p. 481. ^ "DEUTZ remembers its founder N.A. Otto". Deutz Press Release. 14 June 2012. Archived from the original on 19 August 2016. Retrieved 16 July 2016. ^ Brain, Adriana (ed.). "Gottlieb Daimler: The Otto four-stroke engine". Cars: The Best Book on Cars Ever. Pedia Press. p. 385. ^ Bellis, Mary (18 June 2018). "Biography of Nicolaus Otto and the Modern Engine". Thought Co. Retrieved 3 November 2018. ^ Wikrent, Tony (27 June 2015). "Cool Spring Power Museum, June 2015: The first internal combustion engines". Real Economics. Retrieved 3 November 2018. ^ Clark, John (10 August 2010). "Mercedes-Benz History: The Route to the Riding Car". Mercedes Benz. Retrieved 16 July 2016. ^ a b c d e Larson, Len (4 December 2008). Dreams to Automobiles. Xlibris. ^ "125 Jahre Daimler Reitwagen - Hölzerner Feuerstuhl" [125 years Daimler riding car - Wooden Bottom]. SZ Magazin Newsletter. 6 August 2010. Retrieved 16 July 2016. ^ a b c d e f g h i Georgano, G. N. (1990) Cars: Early and Vintage, 1886–1930. London: Grange-Universal, p. 13. ^ "Daimler at a Glance". Daimler AG. 2016. Retrieved 16 July 2016. ^ Etscheit, Georg. "Der Tόftler im Glashaus". Zeus.zeit.de. Retrieved 9 May 2009. ^ Hendrickson III, Kenneth E. Product Details. The Encyclopedia of the Industrial Revolution in World History: 3 Volumes (3rd ed.). Rowman & Littlefield Publishers. ISBN 0810888874. ^ a b Hendrickson III, Kenneth E., ed. (2014). Daimler, Gottlieb (1834-1900). The Encyclopedia of the Industrial Revolution in World History. 3. London: Rowman & Littlefield. p. 236. ISBN 978-0810888883. Retrieved 7 July 2016. ^ Adams, H. (1918). "Ch XXV". The Education of Henry Adams. ^ "125 years ago: Daimler and Steinway founded the Daimler Motor Company in New York". Daimler AG. Stuttgart. 26 September 2013. Retrieved 17 April 2016. ^ "Steinway Gallery And Mercedes-Benz Celebrate Joint Anniversary" (PDF). The Music Trades. La Guardia and Wagner Archives, LaGuardia Community College. March 2004. p. 60. Retrieved 17 April 2016. ^ Bindelglass, Evan (21 March 2014). "Parsing The Steinway Mansion's Rich Past & Uncertain Future". Curbed. Retrieved 2 March 2016. ^ Barron, James (19 July 2003). "Today's Pianos Have Prelude In Yesterday's; Steinway Family Legacy Pervades Factory in Queens". The New York Times. Retrieved 2 March 2016. ^ A. J. Jacobs (16 December 2015). The New Domestic Automakers in the United States and Canada: History, Impacts, and Prospects. Lexington Books. pp. 22–23. ISBN 978-0-7391-8826-2. Retrieved 1 March 2016. ^ "Merger in the Year 1926: DMG and Benz & Cie. merge to become Daimler-Benz AG: Together for the best for 90 years". Daimler. Retrieved 3 November 2018. ^ Nitske, W Robert (1955). The complete Mercedes story: the thrilling seventy-year history of Daimler. London: Macmillan. p. 9. OCLC 59017729. Siebertz, Paul. Gottlieb Daimler: ein Revolutionär der Technik. 4. Auflage, Stuttgart: Reclam Verlag, 1950. Wise, David Burgess. "Daimler: Founder of the Four-Wheeler", in Northey, Tom, ed. World of Automobiles Volume 5, pp. 481–3. London: Orbis, 1974. Renate Völker, Karl-Otto Völker: Gottlieb Daimler – Ein bewegtes Leben. Silberburg-Verlag, Tübingen und Baden-Baden 2013, ISBN 978-3-8425-1230-6. Harry Niemann: Gottlieb Daimler. Fabriken, Banken und Motoren. Delius Klasing, Bielefeld 2000, ISBN 3-7688-1210-3. Hans-Christoph von Seherr-Thoss (Hrsg. ): Zwei Männer, ein Stern – Gottlieb Daimler und Karl Benz in Bildern, Daten, Dokumenten. VDI-Verlag, Düsseldorf 1989, ISBN 3-18-400851-7. Hier handelt es sich um Reprints der beiden o.g. Werke in einem Band. Wikimedia Commons has media related to Gottlieb Daimler.